These bookable sessions are available every day of the week, at various times, except Saturdays. The aim of these coached training sessions is to improve on stamina and overall stroke technique. These sessions are suitable for strong swimmers or triathletes, who are looking to improve on their overall efficiency and fitness in the water. However, if you are just starting out and can swim or have progressed from one of our Adult Improver courses, or Front Crawl Clinics, there are beginner lanes available on Tuesday and Thursday evenings. Minimum distance required 200m. 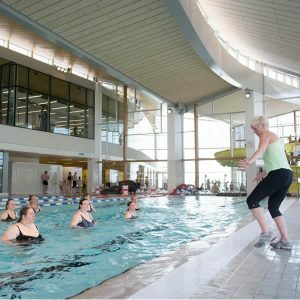 For any further information regarding Adult Coaching please contact the Aquaschool Administration Team at Splashpoint Leisure Centre either by email swimming@southdownsleisure.co.uk or telephone 01903 905050 option 2.